Your personal data is only registered to allow us to process your requests. It will never be used for commercial purposes. In accordance with the law of 2nd of August 2002 on the protection of people with regard to the processing of personal data, you have the right to access and modification of this data. Here fore, please contact the BEE SECURE Stopline. 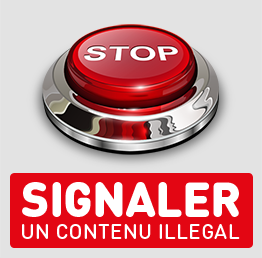 The website of the BEE SECURE Stopline provides links to other websites not controlled by the Kanner-Jugendtelefon and therefore the Kanner-Jugendtelefon cannot be hold responsible for content and services proposed on these sites. Through this website, the BEE SECURE Stopline and its partners wish to provide you with information on the safe use of new information and communication technologies. This information is not necessarily complete, up-to-date or precise. Every care is of course taken to ensure that the information is as correct and up-to-date as possible. Please use the contact form to inform us of any errors or omissions you may notice on the site. BEE SECURE is the only responsible of content and articles created in the framework of the project and published on this website. The content on this website do not obligate the European Commission, so the content on this website does not represent the views of the European Commission and the European Commission cannot be held responsible for the use of the information on this website. In the same way partners of the BEE SECURE Stopline cannot be held responsible for any damages caused through use of information on this site, even if said information is unclear, incorrect or out of date. This also applies for any information found on sites linked to this site. The use of the content in its original form and for non-commercial purposes is allowed, if the source is clearly stated. If not explicitly mentioned, the entire content of this website with the exception of the trademark BEE SECURE, is licensed under Creative Commons BY-ND-NC 3.0 Luxembourg. The trademark BEE SECURE remains property of its owners and all rights reserved. For all question related to copyright, please contact us. This website is edited by the consortium partner of the initiative BEE SECURE : the Kanner-Jugendtelefon, securitymadein.lu g.i.e. and the Service National de la Jeunesse. 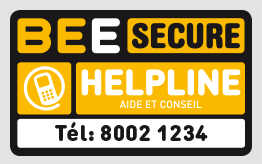 BEE SECURE is an initiative of the government of the Grand-Duché de Luxembourg and co-funded by the European Union. For all questions related to the website and its content or to contact the partner, please refer to the contact form. The website is hosted by securitymadein.lu g.i.e. The website was realized with following partners.